What is QRU and QRU Mini? 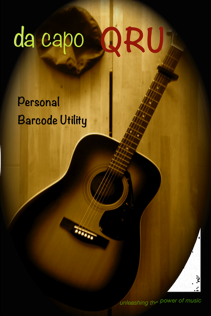 1.They are a couple of Personal Quick Response Barcode Utilities by daCapo Apps & Products. 1.They reads several types of barcodes including UPC barcodes the barcodes typically used for grocery items. 1.They create printable acrobat (pdf) document with barcodes. 5. QRU Mini is a fully functional mini version of QRU. It is limited to creating 12 barcode types instead of the full 21.